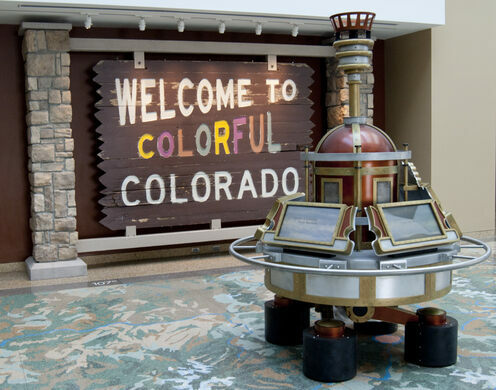 The History Colorado Center is exactly what it sounds like, but still full of surprises. This museum in Denver is dedicated to the history of the state, from its geologic development to the current day. The entire collection is presided over by a giant map tied to a time machine. The machine can be used to toggle through the map, which tells stories from different times and places in the Centennial State. As you move through the museum, there’s the Mesa Verde section, which presents the daily lives of the Ancestral Puebloans, who are known for their cliff-face homes and who once spanned Utah, Arizona, New Mexico, and Colorado. “Destination Colorado” is a replica of a small town in the early 1900s, complete with a one-room schoolhouse. A perennial favorite is the Denver Diorama, which portrays the city as it appeared in the 1800s. A walk-through of a Japanese internment camp, a silver mine shaft, and a ski jump simulation await in other corners. The center first opened in 2012 and, as a result, has been more liberal than your average history museum in applying the newest technology to its exhibits and programs. The exhibitions here trend towards the hands-on, with walk-through installations and computerized interactives.